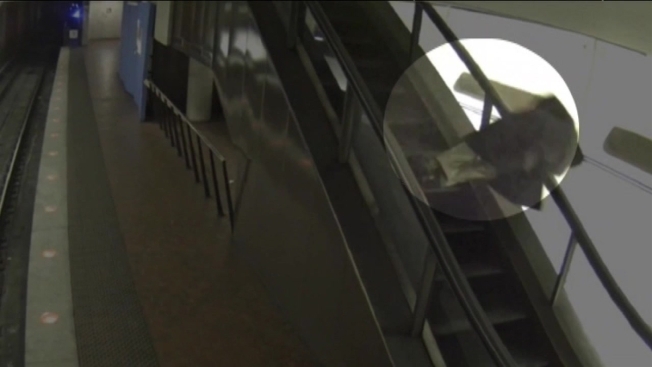 A man fell over a wall at the L’Enfant Plaza Metro Station early Sunday morning. Metro spokesman Dan Stessel said the incident occurred at 1:42 a.m. when the man tumbled over a parapet wall in the station. The victim was transported to the hospital with back and head injuries, and released later Sunday. A parapet wall is the half wall that runs along the platform away from the tracks. Stessel said after reviewing security footage, it appears the man was highly intoxicated. He said the man appears to pass out while standing and leaning against the wall. The spokesman said the victim’s injuries were serious and he was in and out of consciousness when he was taken to the hospital. Stessel said the man's blood alcohol level was more than three times the legal limit to drive. This is the sixth recent incident of intoxicated people falling in Metro stations with the last two occurring at the L’Enfant Plaza Metro Station. Metro encourages people to call a cab if they can’t stand; there is a thing as too drunk to ride the trains.